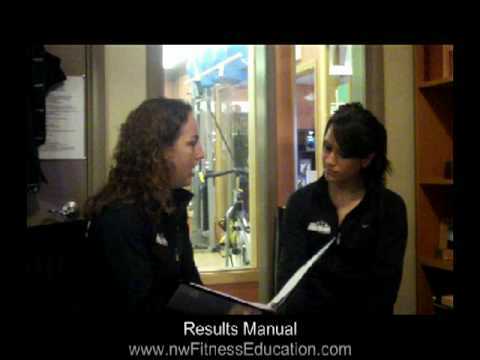 Lasts week we discussed how to get the commitment for your weight loss challenge from both existing and new clients. After writing that blog post I thought that this excerpt from our Fitness Results Manual (which you can have and make your own…go HERE for more details) could be a message you send to your clients to help keep motivation and commitment on track. “The number one reason clients consult with us is to help them manage their weight. Americans are getting unhealthier each year. Health-related disease such as diabetes, hypertension, cardiovascular disorders, and various forms of cancer are at an all-time high. We must consider the effect of excess weight on our joints and backs, not to mention the psychological effects on our self-esteem and confidence! Have you ever noticed that people who are active or play sports always seem to be able to do more things – they just appear to enjoy life more than their sedentary, unfit counterparts. Of course, fit people generally do not smoke, so they are less likely to get cancer than smokers. They generally don’t carry a lot of excess body fat so they suffer fewer heart attacks than those unfit. Fit people have stronger lungs, muscles, joints, bones, immune system, and healthier hearts. Their cholesterol levels and blood pressure measurements are better. With these facts in mind, you can see why we are so passionate about the benefits of exercise and a healthy lifestyle. Most people recognize the benefits of exercise and eating well. Many have good intentions and decide to make some changes. In fact, Americans have no problem initiating the process. We have done it numerous times. We tend to lose the same fat over and (over again. Our struggle lies in the challenge of keeping the weight off. Most people who undertake an exercise and nutrition program have not really taken the time to fully understand the complexity of the process. If you are going to be successful at initiating these major changes in your life and, more importantly, maintaining the changes, you are going to have to establish a very strong foundation for success. There are literally hundreds of exercises, nutrition, fat loss and health books on the shelves at book stores; with most of these books, you read them and then they go back on the bookshelf. By the time you start to initiate any of the changes, you have forgotten what those changes were in the first place and you have probably lost the motivation anyway. When working with us you will regularly be asked to take action towards your goals. You will be asked to answer questions and complete homework drills. This will force you to implement the information immediately and keep your goals at the top of your priorities. Research demonstrates that the safest and most effective program for optimal health and ideal weight management is a program that combines exercise and a healthy diet. Research also shows that you must be involved in the process to enhance success. You know your body and life better than anyone. It’s never successful if we just blindly tell a client what to do without considering their individual scenario. So we need you to help us help you! We are firm believers that there is no quick-fix solution. If you want something enough, expect to put forth a bit of effort. You know what they say – if anything is worth getting, it is worth working for! So, it will not be a ‘walk in the park’, but we can guarantee that it is probably not going to be as difficult as you would imagine. It is all about “Results Momentum”. If we ask you to do something – even a very small task – when you complete it, you have succeeded. This will give you momentum so the next goal becomes that much easier. If you do not do the task – no matter how insignificant, it makes it easier to skip out on other tasks – perhaps those that are much more important to your success. Think of this process as a series of very small baby steps and each one takes you closer and closer to your PERSONAL BEST!